Home / Living Better / Why do we dream when we sleep? What causes dreams when we are sleeping? Activation-synthesis theory: Based on the work of Harvard University psychiatrists, this theory suggests dreams occur when there is stimulation in the brain that brings thoughts to our awareness. “Activation-synthesis hypothesis suggests dreams are caused by brainstem activation during rapid eye movement (REM) sleep and stimulation of the limbic system (emotional motor system),” she says. Threat-simulation theory: Based on the work of a Finnish cognitive neuroscientist and psychologist, this theory suggests dreaming is preparation for real-life situations that may pose a threat. Why are some dreams so strange? If you frequently have nightmares that impair your social, occupational, emotional or physical well-being, Dr. Butler recommends seeing your primary care physician or being referred to a sleep physician. “Nightmares may be caused by stress, trauma or even certain medications, like beta blockers for high blood pressure or antidepressants,” she explains. You should also see a doctor if you have symptoms of REM behavioral disorder. Why do we remember our dreams some nights, but not others? How long does the average person dream each night? Do dreams have any health benefits? 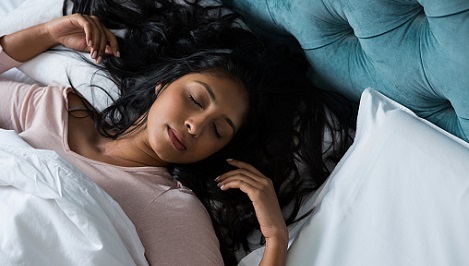 Learn more about sleep and your health from Living Better experts.